CARHA Hockey recently posted a feature on the Smilezone Foundation and their 24-hour hockey tournaments. They are a foundation bringing love, laughter and a smile to children in hospitals that simply need a break from their day-to-day battles. 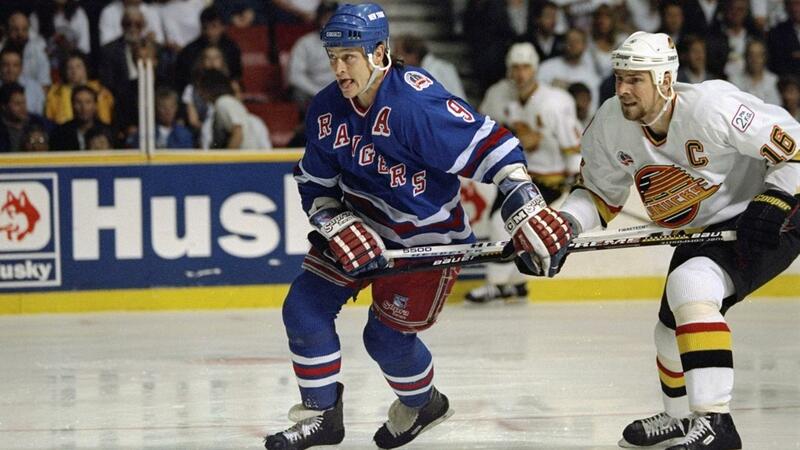 Adam Graves is a co-founding member of the organization and player of 1,152 games in the National Hockey League. We had the opportunity to discuss Adam's NHL career, his humanitarian efforts, and the super fun 24-hour tournaments. Adam had some very in-depth answers! To register a team for a Smilezone Foundation tournament or for more information, contact Jennifer Kouroupis. You are a Co-Founder of the Smilezone Foundation and have been involved since the inception in 2012 – what inspired you to start this foundation? I think the greatest gift that the game of hockey provides us with is the people that you get to meet along the way. Being lucky enough to play in the National Hockey League, I was fortunate to be able to pay visits to hospitals to meet these young kids who have so much character and strength and courage. Being at different hospitals throughout my career, you quickly realize there’s a lot of obstacles in the way for these kids facing these illnesses. Paying them a visit gave them a brief break from whatever was ailing them and temporary lifted their spirit; Smilezone Foundation is an extension of that – it’s all about doing anything we can to put a smile on a child’s face. Do you have a favourite story from your time working with the Smilezone Foundation? Every time I’m lucky enough to attend a grand opening, where I get to see a “before and after” transformation of what we were able to accomplish is a special thing. You get to see the enjoyment and the interaction of these kids for the first time. One story that sticks out is installing an interactive gaming center on the ceiling of a room where a child was receiving treatments, as well as a console beside his bed for his siblings. So while he was receiving treatments he could look up and take his mind off the pain, and his siblings had something to keep them occupied while they kept their brother company as well. Receiving multiple awards during your NHL career for your humanitarian efforts and dedication to your community, what was it that encouraged you to commit to a life of helping people outside of hockey? Well my hero has always been my dad, who was a policeman in Toronto, and he always said that life is a two-way street. As much as you give, you get in return. I can’t tell you the countless stories that I can give you about how much I’ve learned from these young kids. They have been so inspirational to not only myself, but also to their families and their communities. There’s so many people that are doing such great work, and it starts with the doctors and nurses and policeman and those serving our country. So for me, as an athlete – playing hockey, although I love the game, at the end of the day it’s a game. There’s people doing so much more important work but if we can use our profile to support those people, bringing attention and support to great causes and making their jobs easier, it’s pretty cool. There seems to be a trend in the world of sports where athletes are using their profile more and more for the greater good – JJ Watt’s flood relief comes to mind – what do you attribute this change to? I think there’s so much more information out there now than when I first started in the National Hockey League. The world has also become more cognizant and socially aware – crowdfunding for example, when a story spreads far and wide there’s so many people willing to jump on board and help right away. It’s the volunteers at the end of the day that are making the biggest difference, though. The people committing thousands of hours to a cause out of the goodness of their heart. Tell us more about these 24-hour Smilezone Foundation hockey tournaments! It’s the fourth edition coming up, and it’s a cool event because we have ten teams, with each team playing five games – and the cool part is you can play at any time of the day. You can play at 11AM and then not again until 7PM, followed by a game at 3AM. There’s one pad of ice and there’s a game every hour on the hour, and another pad with food, interactive games, and activities for participants, spectators and families. We bring furniture and a big screen too so people can get together and watch hockey together. If you love the game of hockey, it’s a fantastic event and I can’t express how awesome it is.